Step 1: Download Lion from the Mac App Store,but don’t install at this time. 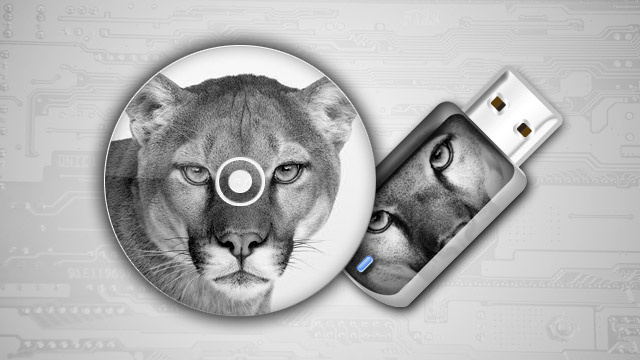 Step 3: Open up Disk Utility from your Applications > Utilities folder and drag the DMG file into the sidebar. Step 4: If you are burning to DVD insert your disk, select the DMG file in the sidebar, and press Burn. Insert the disk and select it in the sidebar in Disk Utility. Select the Partition tab, select “1 Partition” from the dropdown menu and choose “Mac OS Extended (Journaled)” for the format type. Click the Options button and choose “GUID Partition Table”—this will make the drive bootable and formatted correctly for the Mac. Hit Apply to format—which will completely erase—the drive. Now click the Restore tab and choose the DMG file as your source and the USB drive as the destination. Press the Apply button and Done! Step 6: Finally, to boot from your install disk/drive and install Mountain Lion, restart your Mac and hold the Option key down when you hear the startup chime.